Mario Chick and teacher John Zamarelli audition for a roles in the upcoming musical Oliver. Directors Mitchell Sharp and Tessa Wells look over the “Oliver” script at auditions. BELOIT — The West Branch Theatre Department has produced many musicals over the years and in recent years produces at least three musicals a year. There has been years when as many as five shows have been produced. Needless to say the stage has become a popular place for a lot of West Branch students. As the department improves through offering so many experiences so does the ability of the students involved. 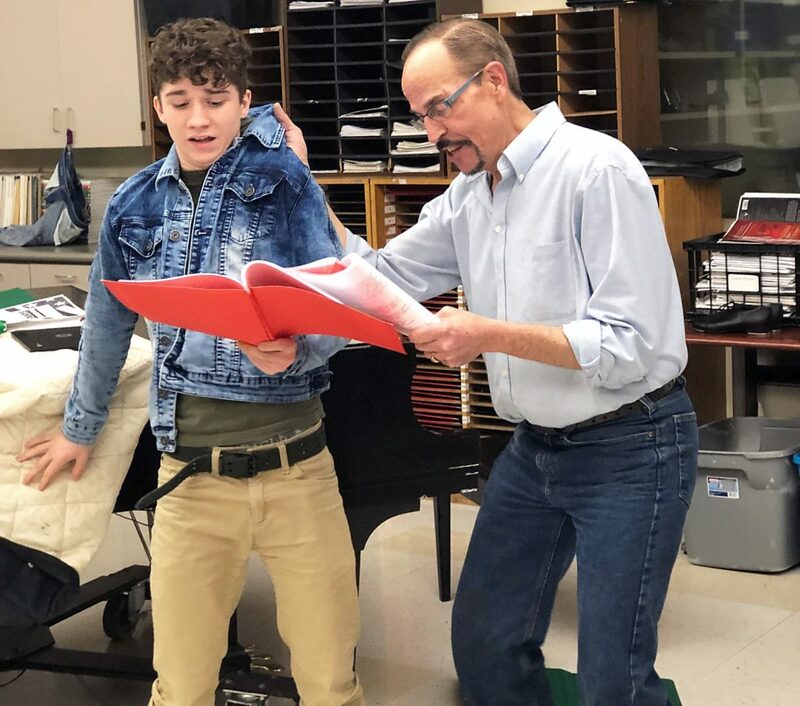 After much discussion, seniors Mitchell Sharp and Tessa Wells inquired about actually directing the upcoming show “Oliver.” After much deliberation director John Zamarelli took them up on their offer but the flip side of the deal was that he then had to perform in the cast. 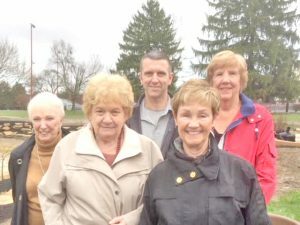 “This is kind of a gifted experience for the students and a sabbatical for me” said Zamarelli. “Most of my undergraduate and graduate training is performance-oriented. When you become an educator you kind of give that up to instruct the art of performance to them which basically takes all of your time. 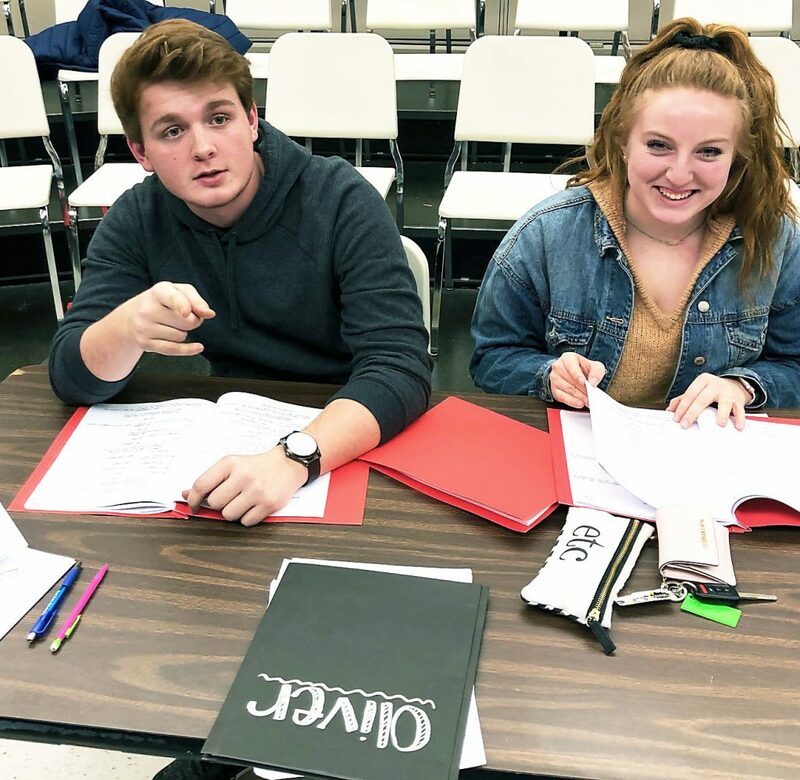 Directors Tessa Wells and Mitchell Sharp held auditions right after Christmas break and Zamarelli filled out an application and auditioned with the students. With some guidance from Zamarelli the new young directors choose the cast with Zamarelli playing the part of Fagin. The students also came up with a rehearsal schedule, designed the set, and will also be designing the choreography for the show. Other responsibilities include: designing the poster, program and costumes. The students have already organized a publicity photo shoot and designed a T-shirt for the cast. There are over 125 students in the cast and they have been rehearsing with the students completely running the show. “Oliver” will take the stage Feb. 22-24 with shows on Friday and Saturday at 7:30 p.m. and the Sunday at 2 p.m. Tickets for the show can be purchased on line at wbmusic.org. Adult tickets are $12 and student and seniors are priced at $10. All seats are reserved.